 EFFER’S IAA WILL LEAVE YOU SPEECHLESS! It’s the 67th edition of the Commercial Vehicles Exhibition held in Hannover, a sector that forms the backbone of the transport and economy, and technology is the focus of this important event. 2018 has been such a great year of new products and solutions for Effer so far, and at IAA in Hannover you’ll have the chance to see them with your own eyes. In proportion to its lifting class, the Effer 1405, is an extremely light truck crane. 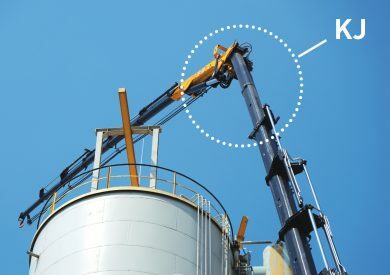 Installed on a tractor, in some European countries such as Denmark it is the only truck crane in this lifting class on a tractor able to fulfill the “Multi tractor” rules. The V-Stab base makes the truck very stable especially in the front area of the cabin. 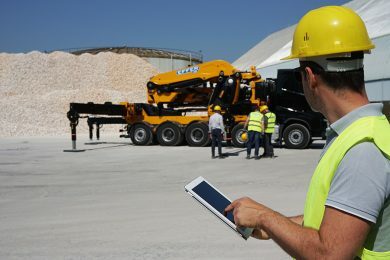 This solution is combined with the new function SENSE, a feature of Effer electronic management system Progress 2.0, that guarantees the maximum performance of the crane on 360° area and also offers very wide working area with partially extended stabilizers. This particular truck installation is customized for boat transports. The flat-bed is equipped with special lowering for keel in the centre which provides lower transport height. There are also 4 hydraulic boat stocking devices, 2 of them mounted on the hydraulic rear bed-extension to allow transport of longer boats. The installation is made for Nordic conditions, for example with working lights, heated tool boxes, etc. 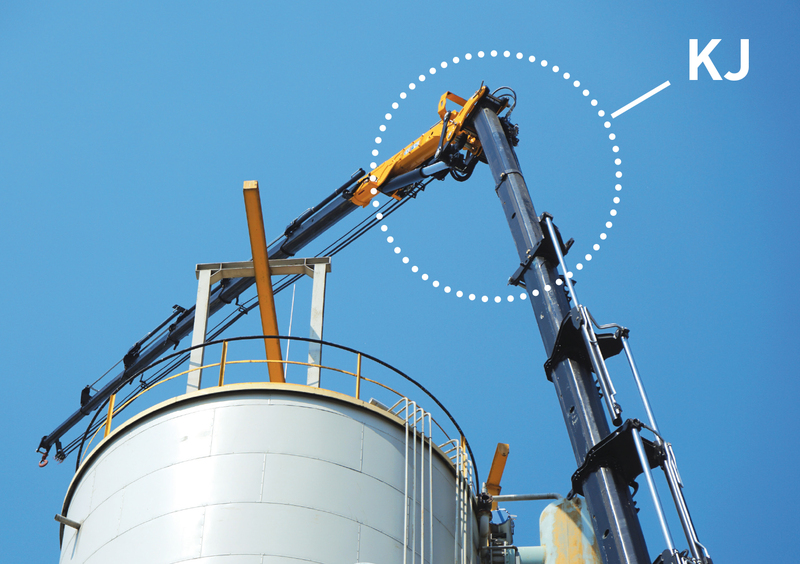 bodybuilding and crane mounting were made together with Finnish Effer partner Maantec Oy and Real Machinery Oy. This is one of our most famous models, much appreciated all over the world thanks to its power/weight ratio and versatility to carry out works in different applications. Last but least… you’ll have the opportunity to discover the beautiful and unique Effer 2255 in its configuration 8S + KJ 2S + XL 6S during some demos! This unit is managed by the Effer’s Steady remote control, designed to offer the maximum comfort and ease of use during all the working day. Our staff of experts will present all our news and will be at your complete disposal to show all advantages of our cranes. We wait for you at booth FG N66!